Pierate - Pie Reviews: What Makes The Best Scotch Pie? What is a Scotch Pie? An iconic product, there is nothing quite like the Scotch Pie. There is even a Scotch Pie Club which holds the Scotch Pie Awards every year in order to find the best. 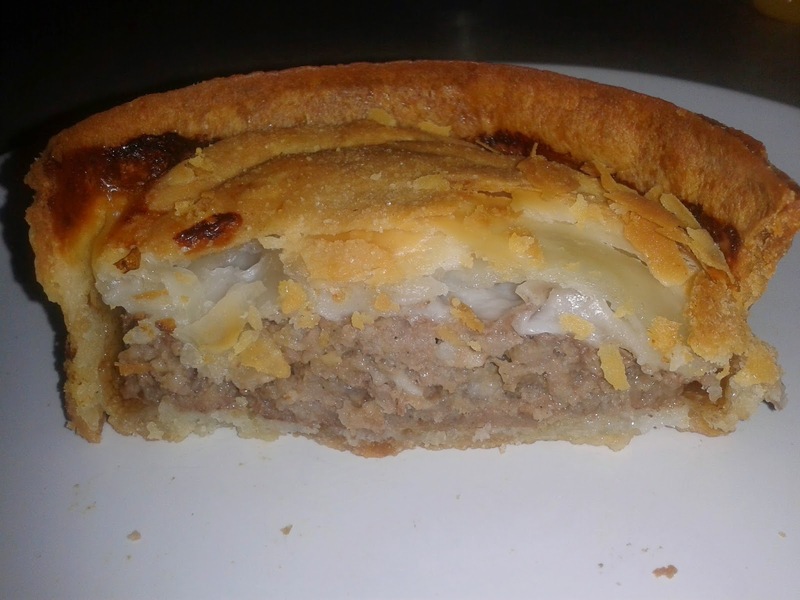 It is a hot water crust pastry pie filled with minced meat. Traditionally only mutton was used but now beef is more common. Sometimes a mixture of beef and mutton is used. It is normally highly spiced, often with the addition of onion to add to the flavour. 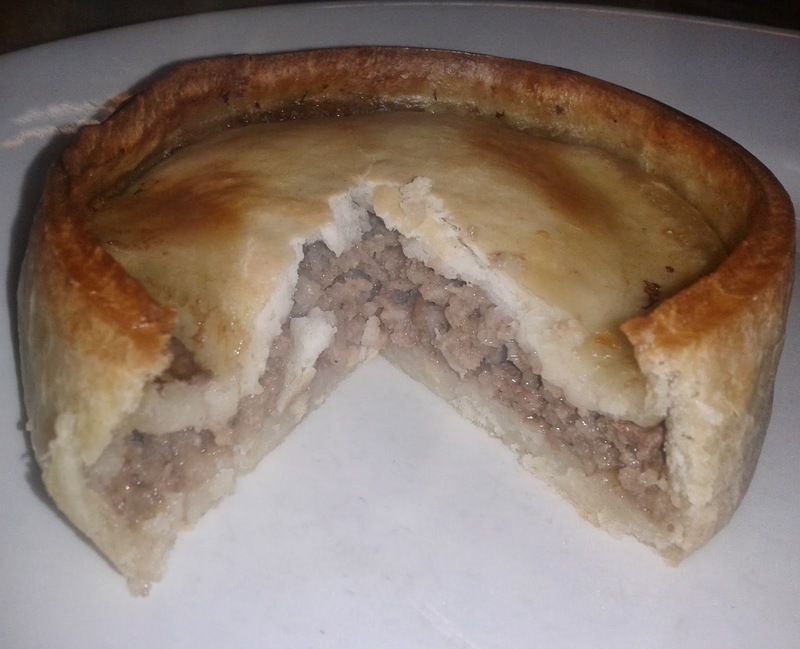 Especially when mutton is used a Scotch Pie will be a relatively greasy pie, given there is no gravy within the pie, the fat is important for keeping it moist. The hot water crust gives it a solid pastry which holds the pie together and helps make it easy to eat by hand. Often the base is dried (or 'cured') for a few days in order to allow it to hold the wet filling. It also gives a crunch to the pastry which is a characteristic of a good Scotch Pie. This provides a contrast in texture to the moist filling and sets a Scotch Pie apart from other pies. A Scotch Pie must have an extra rim at the top above the pastry lid. This is in order to hold mash or gravy. Traditionally thought to have originate in Scotland (hence the name) they are certainly ubiquitous in butchers and bakers shops across Scotland. Scotch pies can be found in other parts of the UK as well as commonwealth countries such as Canada. They are typically more of a "working class" pie in part because they are normally sold relatively cheaply (around £1 or less), but this stigma is constantly being challenged by the many high quality pies being produced nowadays. 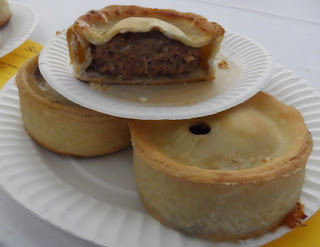 The Pierateers have sampled a range of Scotch Pies and the current leader was produced by JB Christie in Airdrie. This pie was the World Scotch Pie Champion in 2013. JB Christie gave us a tour around their production facility which provided a facinating insight into how the best Scotch pies are made. Then in British Pie Week 2016 we visited the 2014 and 2016 World Scotch Pie Champions The Kandy Bar Bakery in Saltcoats to meet Stephen, Rona and Team Kandy Bar, a real treat! 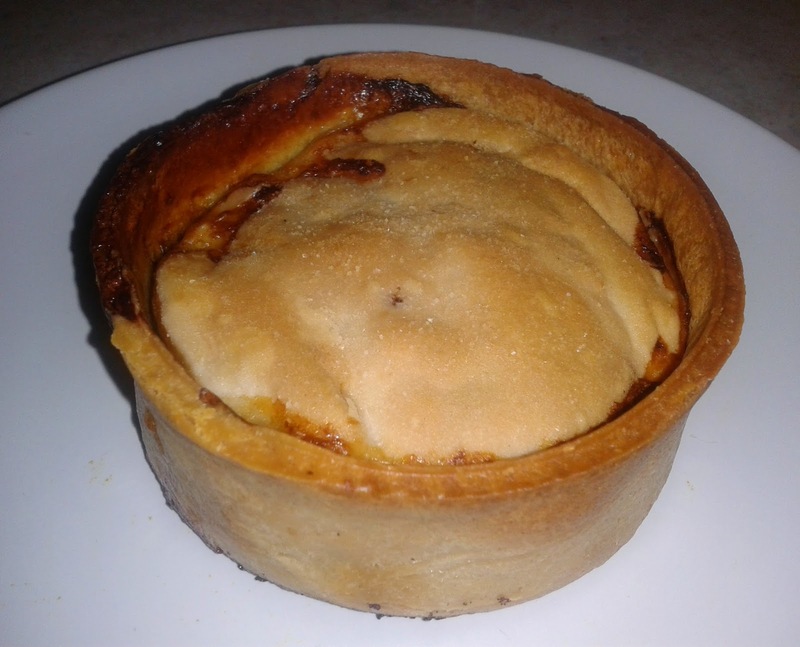 Scotch pies often score highly on the 'cheapness' criteria by which we rank our pies. A range of both Mutton and Beef Scotch Pies have been consumed and it must be noted that this has a big effect on how the pie tastes. 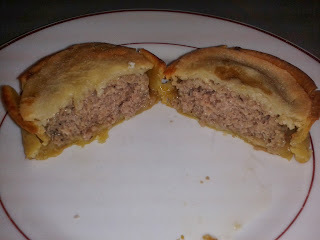 You can spot a mutton Scotch Pie by the higher fat content which will often ooze out as the pie is bitten into.